Beautiful, scarlet-red flowers with black centres top stems that rise above handsome, purple-striped, strap-like, grey-green leaves. 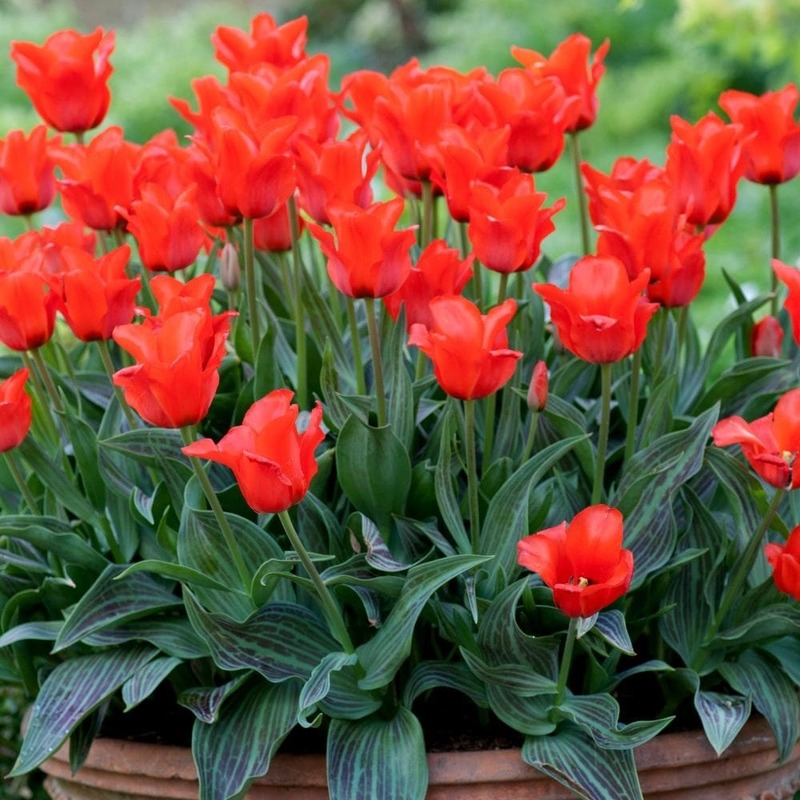 These chunky, dwarf tulips are perfect for a sunny, well-drained rockery or a large patio container. After flowering they may be left in the ground for several years, unlike other varieties that need to be lifted and stored. Planted in a meter-long trough. Stunning splash of colour right beside the front door! Tips of emerging leaves appear brown and scorched, and often shrivel and rot. The foliage soon becomes covered in a grey fungus. Brown spots appear on the leaves and flowers, which may also rot. 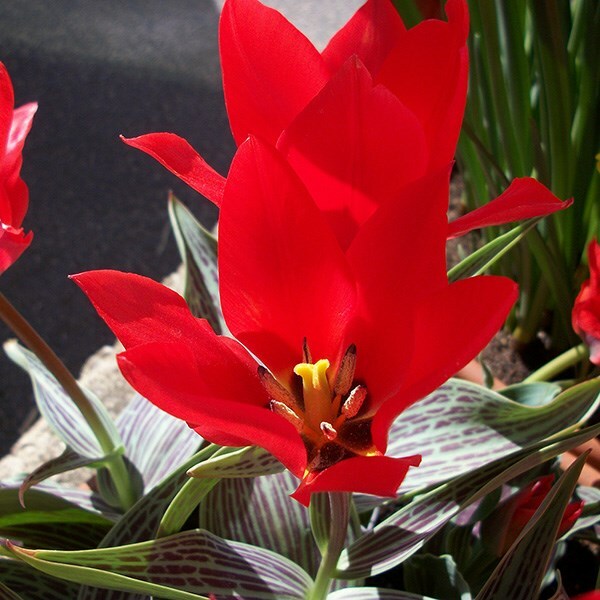 The most useful garden tulips arrive in the second half of April or in May, after most of the daffodils have flowered. For this reason it’s a good idea not to mix the two because by the time your tulips flower, the daffodils will be past their best.